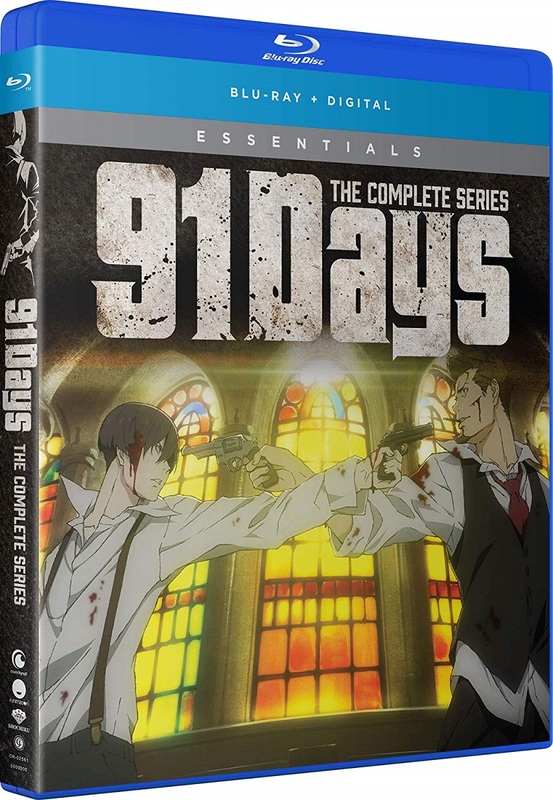 91 Days Essentials Blu-ray contains episodes 1-13 of the anime directed by Hiro Kaburagi. Prohibition— a lawless era where bootleggers prosper and mobsters prowl. Avilio Bruno has grown up alone in this murky world after the Vanetti’s murdered his family. One day, he receives a letter that holds the key to revenge. Befriending the don’s son, Nero, Avilio works his way through the Vanetti family and sets his vengeance in motion. 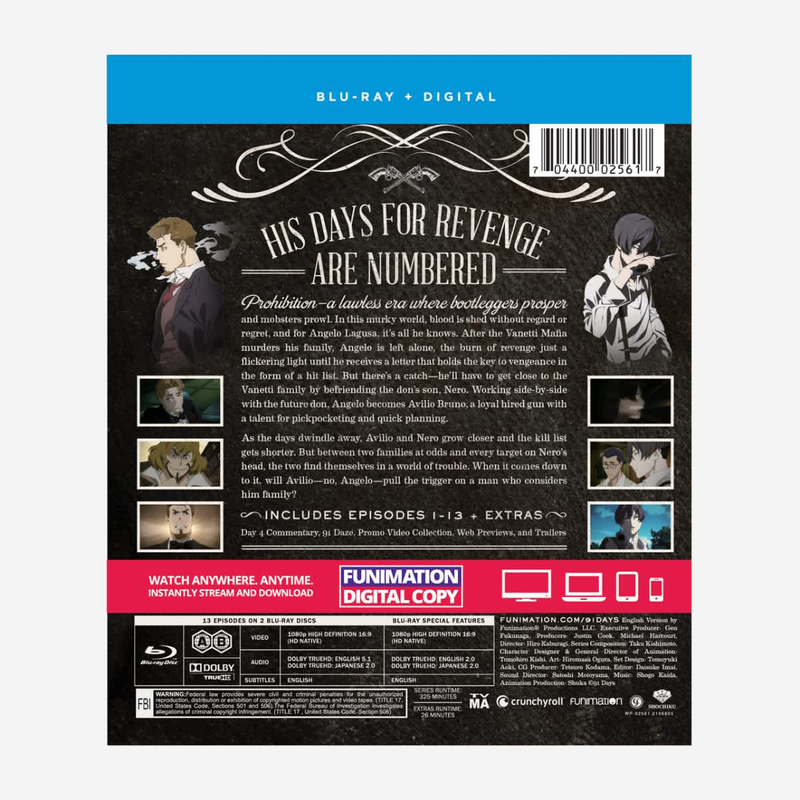 Special Features: Day 4 Commentary, 91 Daze, Promo Video Collection, Web Previews, Trailers.